Huge numbers of women around the world are awakening to their true strength, their true power. The beautiful, unmanipulated, true Divine Feminine power that courses through every female on Mother Earth. We see how our society has been set up to disempower us. To keep us scared of our own power- scared of even the idea of being powerful beings. Encouraging girls and women to see each other as opponents in a fight none of us signed up for. To keep us preoccupied with appearance. To keep us stuck in comparison and feeling ‘less than’. To keep us from seeing the profound beauty within and within each other, knowing we are all deeply, stunningly beautiful in our own unique way. To discourage independent thinking. Too often discouraging young girls from any kind of thinking beyond fitting into ridiculous ideas of beauty. Ridiculous ideas sold to men, women, girls and boys by companies who keep moving the marker of what’s ‘enough’, what’s ‘acceptable’, so they can keep making money off the insecurity they have bred into us all. This society has tried to subjugate and divide us women at every turn and in some ways succeeded. But only for a time. NO MORE. Millions of women stand today, eyes wide open. We are strong. We are fierce. We know our worth. We are awake and we are not going back to sleep. We will continue to grow stronger and more empowered, guiding those who are looking for guidance, supporting those looking for support and coming from a compassionate space for all, ourselves first and foremost. We are the birthers of human life. We are the daughters of Mother Earth. We are the Divine Feminine incarnate. And we are awake. We are rallying. We are united. We will no longer be silenced. We will no longer be small. We are a potent force and we will be heard. On this day, dedicated to the women of the world, I offer up huge love and gratitude to my mother and my sisters for being my learning ground as I explored what it means to ‘be a woman’ while growing up. I thank all the women who have been and who continue to be part of my life for their encouragement, support and friendship. I thank all the female musicians, composers and electronic artists who have done it and by doing so have made me believe I have the right to go do it too. I am grateful to all the women who have come before me, who paved the way so I am a woman with the right to vote, who gets to speak and have recourse if I am threatened for doing so, who gets to speak up and speak out both in my music and in my everyday life, for lighting the way to empowerment. To all the women who continue to be met with violence and threats, abuse and death all around the world: You are seen. You are not forgotten. The tide is turning. I send you love and support and hope I live to see the day violence is eradicated and equality re-established in the world. I am sending huge support to the women and men of Ireland marching for the repeal of the eighth amendment. May women everywhere have the same human right as men and be allowed to govern and decide what is correct for their body in every situation. 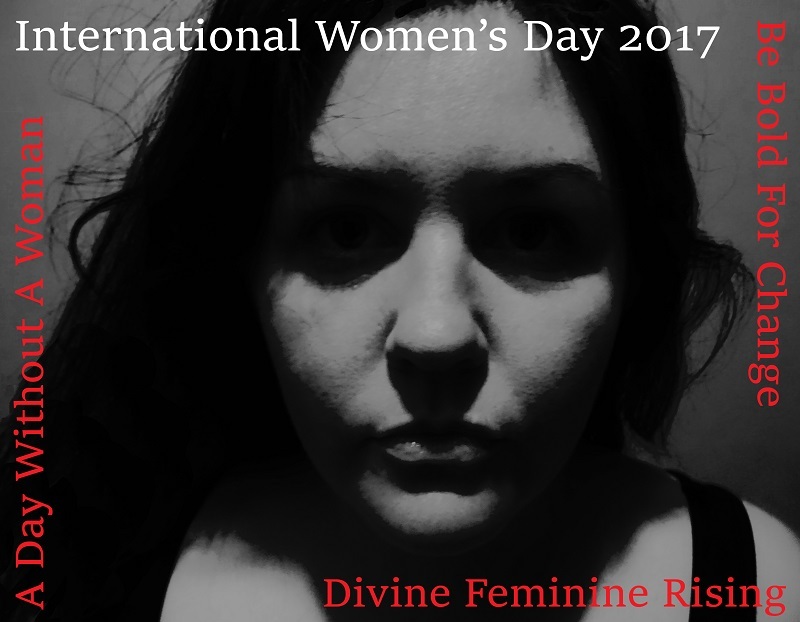 You are currently reading International Woman’s Day 2017 at Laura Kilty.